We offer one of the most reliable and trusted services in Ireland and the UK. We aim to provide the best level of service to all our clients. City Tours Belfast have established a reputation for quality, reliability and efficiency as well as competitive prices. Whether it’s for pleasure or business, We can guarantee to get you and your party there safely and comfortably. With seating capacity ranging from 6 to 53 seats our fleet of luxury coaches can cater for your party, whatever the size. In every case, our service is tailored to the meet the individual requirements of your group. We understand that price and budget is important to our customers. At City Tours Belfast we believe that you should not sacrifice on quality, safety and comfort when your looking for a competitive quote. We want a chance to prove to you that you do not have to settle for second best. 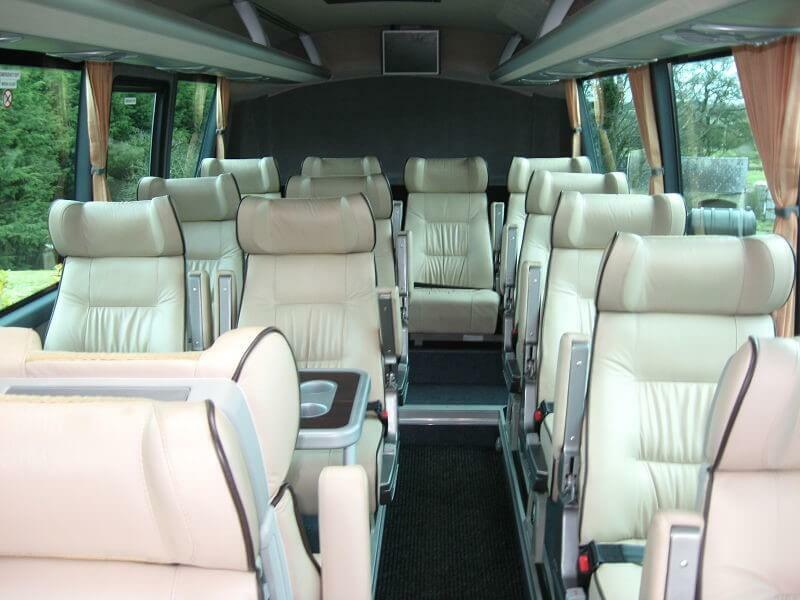 Yes you can have a clean modern coach with ample legroom and still pay a competitive price. We have extensive experience in providing a first-rate service, our fleet of luxury coaches ranges from 6 to 53 seating capacities providing unrivaled transportation solutions for any occasion. For private or group hire, corporate or business, City Tours Belfast is guaranteed to impress. With a team of fully qualified and dedicated staff, our premium service makes your trip a pleasant and comfortable one.